A council leader wrote to a weekly editor branding a journalist’s appointment as its local democracy reporter “unacceptable” and theatening to refuse to co-operate with him. 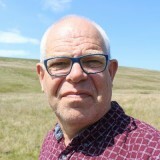 HTFP reported last week how Peter Lilley, pictured, had been sacked from his role at the Harrogate Advertiser after 32 days having been appointed under the BBC-funded local democracy reporter scheme. Peter claimed he was forced out after Harrogate council lodged a formal complaint over his appointment, and last week submitted a Freedom of Information request demanding the authority publish its contents. Cllr Cooper wrote: “Last week we spoke about the potential appointment of Peter Lilley as your Local Democracy Reporter. I said that this was unacceptable to me and I have used the weekend to give some consideration to exactly what that means. “I must start by stating the obvious – it is up to you who you employ and to do what job. It is up to those of us who interact with those people the manner in which we interact. “With regards to Mr Lilley, I have contacted cabinet colleagues over the weekend and I have to inform you that none of us will respond to requests from Mr Lilley, in his role as your local democracy reporter, for information or comment. Cllr Cooper, a Conservative, went on to list examples of Twitter posts and emails which had been critical of him and others involved with the council. He also said he had spoken to an unnamed “community leader” who alleged Peter had “views about women that cannot be tolerated” – a claim Peter has since described as “outrageous” and based on “unspecific, undated, unattributable comments”. Cllr Cooper added: “Looking back over hundreds of pages of tweets Mr Lilley has comprehensively trashed a wide variety of relationships which he will now need. It is unsurprising I think that many of us will want to repay the compliment now that he needs us to do his job. Peter has previously claimed he was told by Jean on the third day of his employment at the Johnston Press-owned Advertiser that his position had “probably become untenable” as a result of the complaint. He told HTFP: “It is hard to imagine a more brazen attempt by a leader of a council to try and influence and undermine an external appointment. But I also think there are serious questions to be asked of Jean MacQuarrie of Johnston Press. A spokesman for Harrogate Borough Council said: “We don’t comment on the recruitment decisions made by private companies. The reasons why Mr Lilley’s contract was terminated is a matter for the Harrogate Advertiser and no-one else”. A Johnston Press spokesman said: “It is not appropriate for us to be talking about an individual reporter’s employment in our or any other company. “Robustly holding the council to account is the core function of a local democracy reporter. We will continue to hold all local authorities to account in the same objective and impartial way we always have done. The full text of Cllr Cooper’s letter to Jean MacQuarrie can be read here. Peter Lilley’s response to Cllr Cooper’s letter can be read in full here. Mr Lilley should sue Cllr Cooper for defamation over the ‘views about women’ section of his letter, which unarguably damaged Mr Lilley in his office or employment. Can’t help wondering if the better solution for everyone would have been for Peter to have been offered a role as an LDR on a patch other than Harrogate. It may not have been as geographically beneficial to him but he could have started with a clean slate rather than having senior councillors against him from the word go due to what has gone on before. He certainly seems to have plenty of journalistic experience and political interest. I think Sub it out, that it looks like he wanted the job to give himself some protection for his ‘beliefs’. Go through his Tweets, they are all still there. He clearly has an agenda. There is holding to account and then there is being blind to everything but your own views. Sub It Out – I get the feeling that Peter would have been just as belligerent in another patch, so that might not have lasted long either. Maybe a bit longer than in Harrogate though! It’s clear from the information provided, and his own behaviour on Twitter, that his approach and attitude needs to improve, regardless of no doubt solid past experience. He openly criticised his employer on social media. In no world is that an appropriate way to behave.